By serving others, we create a better world. At The Jewish Community Foundation, we bring together like-minded people who are invested in building a better world through the core Jewish values of compassion, justice, and learning. Our experience and history in the East Bay help us give you and your family guidance to give thoughtfully and creatively. Whether you support local Jewish education or global relief efforts, we can connect you with the causes that best reflect your values. 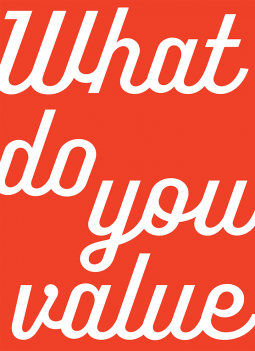 If you and your family are ready to invest in your values, we would love to hear from you. The Jewish Community Foundation is your partner in charitable giving. We offer easy, creative ways to make a significant impact with your tzedakah. Whether you’d like to memorialize a loved one, support a community organization in perpetuity, or simply streamline your charitable giving, the Foundation is here to help you invest in what you value most. I want my philanthropy to be easy and professionally managed. You may be interested in a donor advised fund or a supporting foundation. These tax-smart charitable giving vehicles are designed to streamline and maximize giving. I’d like an alternative to a private foundation that receives the tax benefits of a public charity. You may be interested in a supporting foundation. A supporting foundation functions like a private family foundation, but because it is affiliated with The Jewish Community Foundation, you may receive tax and administrative benefits that would not be available with a private foundation. I want to create a permanent source of income for a field of interest or an organization that I care deeply about. You may be interested in an endowment fund or a legacy fund. You can specify causes, organizations, or specific programs to support. Or, you can make the fund available for the general needs of the community as they evolve. I’m interested in incorporating charitable giving into my estate plan. You may be interested in a legacy fund. A legacy fund is a permanent source of financial support for the causes that you value most. I represent a Jewish organization, and we need ways of increasing our long-term financial resources. You may be interested in our services for Jewish organizations. The Jewish Community Foundation helps East Bay agencies and synagogues establish and manage long-term funds for their programs and operations. Learn more about Foundation’s charitable fund options, or contact us at 510.839.2900 or foundation@jfed.org.